Picture it. Tuesday, June 24th, twelve of the City’s fiercest and most skilled competitors battling it out in the quaint Pearl District of Portland. With sweat on their brow, victory on their mind, cocktail in one hand and a trusty paddle in the other, the players knew this was no time games–for they shared one common goal. 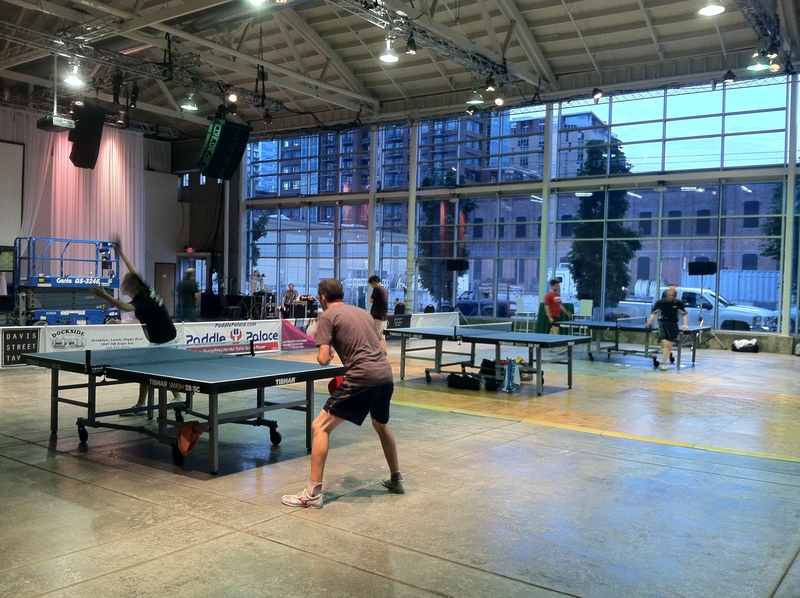 The players had received an exclusive invitation, extended only to la creme de la Ping Pong crop, to see if they lived up to their esteemed reputation as a force to be reckoned with. Those who proved themselves, would then be invited to participate in the upcoming baddest and dirtiest tournament this town has ever seen–the Northwest Dirty Dozen (ND12) at Pure Pong. Details of the tournament are not to be disclosed at this time, as Pure Pong in the Pearl fears the lavishness of the prizes and the innovative format that involves not only the elite chosen 12, but other unforeseen challengers as well, will be too exciting, distracting the pro players from meeting full playing potential. 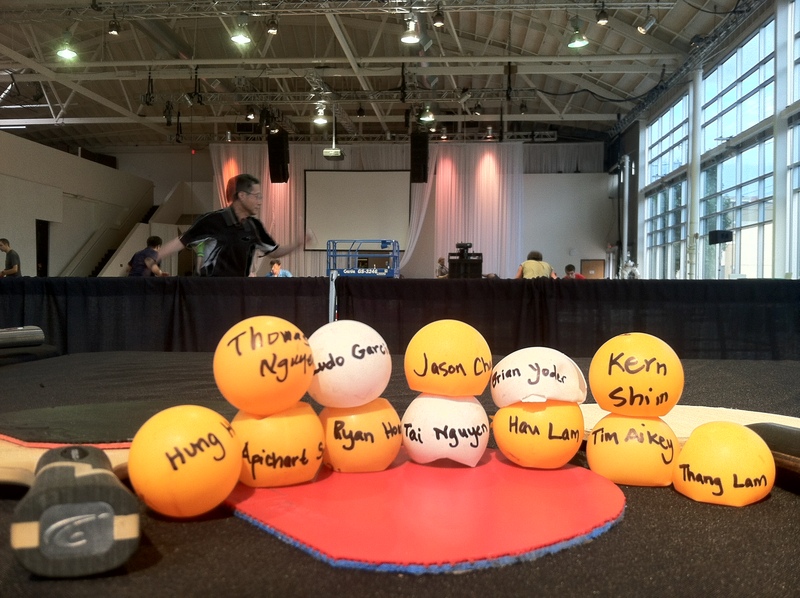 The players arrived to find their names written on Ping Pong balls, that were then placed in the magic golden drum to select the play format for the evening. Among them, was Apichart Sears. 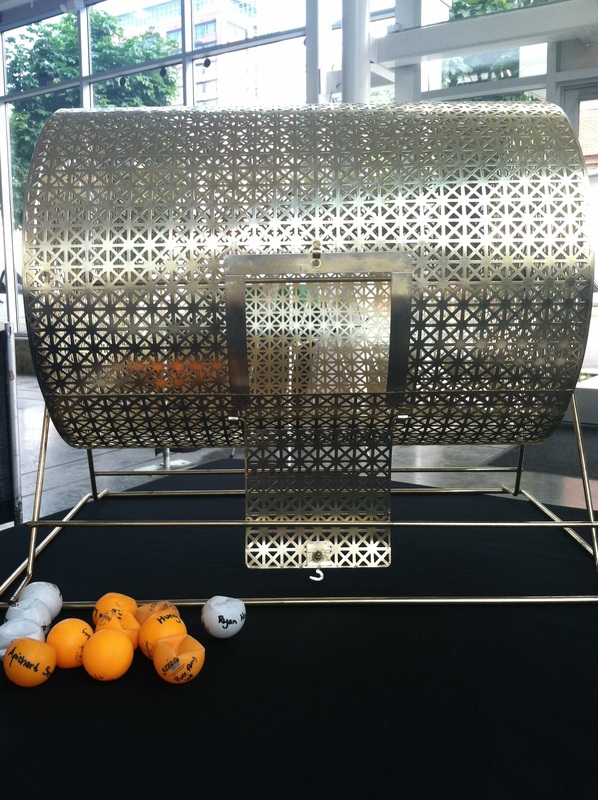 Pure Pong is delighted to have a player of Sears’ caliber participating. Having been awarded MVP by the U.S. Olympic Training Center, Sears stands to be quite the contender in ND12, and an incredible athlete to watch. The players participated in a Round Robin tournament, receiving “Pure Points”, which is a new points system that awards elite players depending on match outcomes. Over $120 worth of certificates to Pink Rose, a sponsor and fabulous neighboring lounge for cocktails and eats, were given out for the evening as the first of many prizes to be allocated over the coming weeks. See who was invited, and how the players’ points stacked up from the first qualifying night for ND12 below. 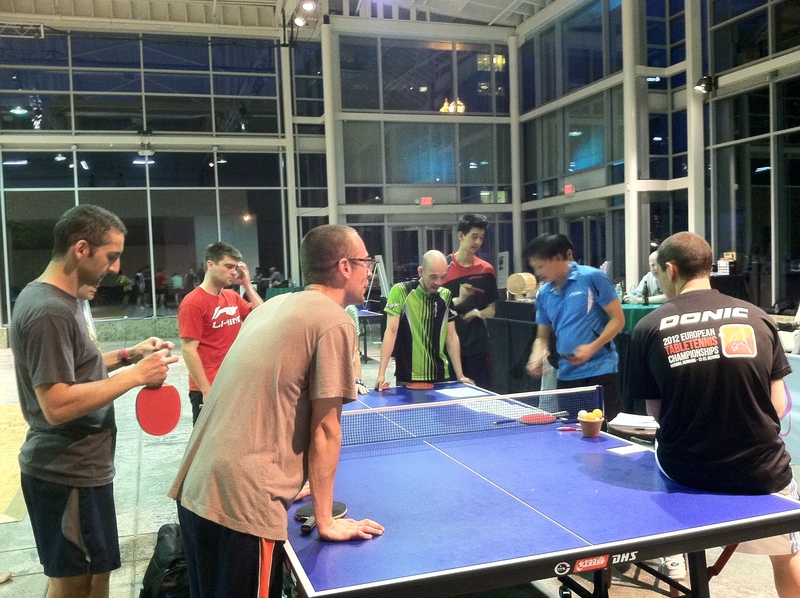 The players congregated to trash talk and enjoy cocktails courtesy of Pure Pong following the matches. Threats of impending defeat during round two of the qualifying evening of ND12 could be heard among laughter all the way to the Bridgeport Brewing Company. The first class action also brought spectators. 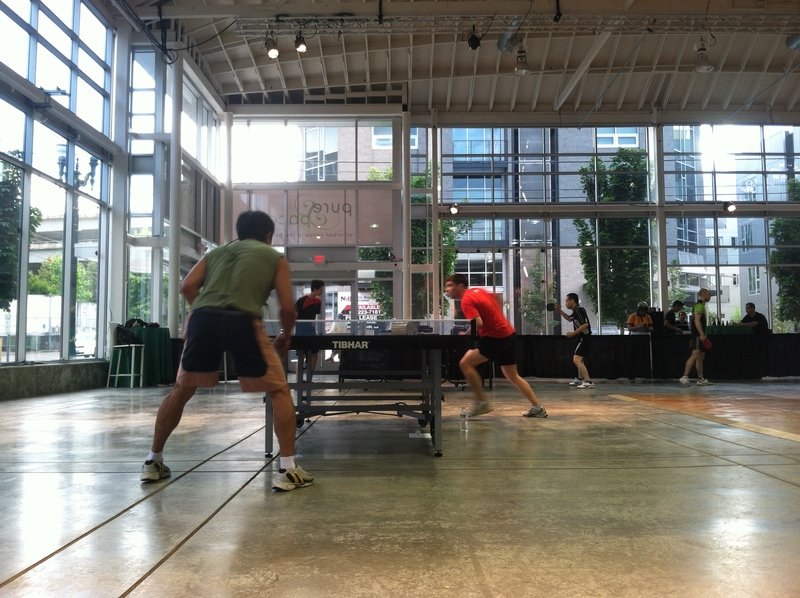 Initially in to play themselves, many became so enthralled with the amazing level of Table Tennis they were witnessing, that their games were abandoned all together and traded instead for a front row seat and a beer! While the resident ND12 players will be hand selected, there will be opportunities for EVERYONE to be involved once the tournament is underway…stay tuned to learn how you can get in on the action, and start racking up “Pure Points” for prizes!